Aidan McClure and Laurent Simon, the Adam & Eve/DDB creative team behind John Lewis' "the bear and the hare", are joining the BBC as executive creative directors of the broadcaster's new in-house agency. The Adam & Eve/DDB creative directors will join BBC Creative in March and will report to its director, Justin Bairamian. BBC Creative will launch in January 2016 and will create the bulk of the broadcaster’s marketing campaigns. The corporation has said that it expects the change to create "significant" savings. The in-house creative department will, for the most part, replace the role played by Red Bee Media, which had an exclusive production deal with the BBC between 2005 and December 2015. In a statement, the BBC noted that Rainey Kelly Campbell Roalfe/Y&R will continue to be the broadcaster’s "rostered agency", and that the BBC will continue to work with other agencies on a project-by-project basis. 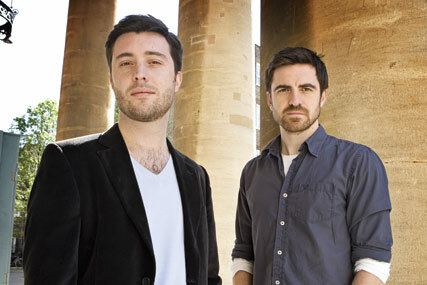 Bairamian said: "Aidan and Laurent are one of the most talented creative teams of their generation and we’re delighted they’re joining the BBC. "BBC Creative is bringing together some great people from Red Bee and the BBC and, with them at the helm, we’re confident we’ll reach new creative heights." McClure and Simon have been at Adam & Eve/DDB since 2011, when they joined from Abbott Mead Vickers BBDO. During their time at the agency they were responsible for the Cannes Lion grand prix-winning "the bear and the hare" John Lewis Christmas ad in 2013, as well as the "miracle of Mulberry" ad this year. The pair also looked after the Volkswagen UK, the AA, McCain and John Smiths accounts at Adam & Eve/DDB, as well as a few others. McClure and Simon added: "Opportunities like this don’t come round often. To be part of such an iconic institution and help shape the creative output of its newest venture is a great honour."